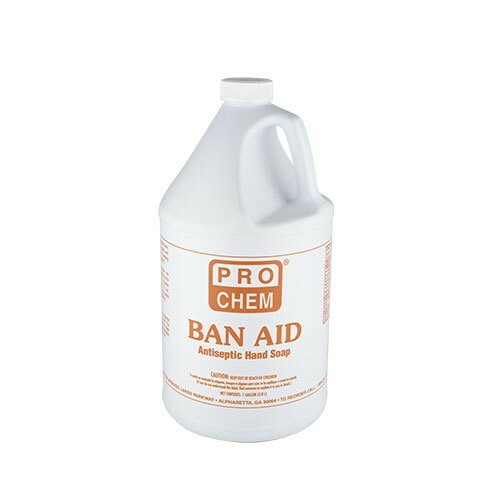 Ban Aid | Pro Chem, Inc.
BAN AID hand cleaner is formulated with the mildest detergents, emollients and skin conditioners. Leaves your hands clean, soft and smelling fresh. 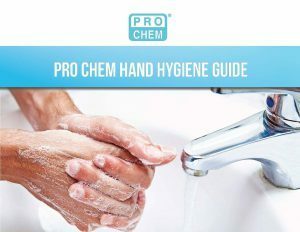 PCMX has been added as an antimicrobial agent. BAN AID can be diluted with up to 50% water to make it go further in light-duty applications. Effective for use in food processing plants and restaurants by personnel prior to handling food and/or food processing equipment. When tested via the Time Kill Test, it demonstrates 99% or greater kill against Staphylococcus Aureus, E. coli, and Pseudomonas aerugunosa. Use a small quantity of hand soap. Rub briskly, working into palms of hand and between fingers. Rinse thoroughly with clean water. Product may also be diluted with water to desired viscosity.